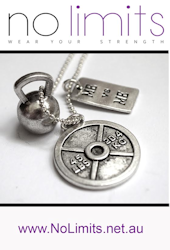 The ICN guideline for natural bodybuilding, sports modelling and transformation events, this document also known as INADP, is updated from time to time and published on the official ICN website at http://www.icompeteaustralia.com.au/ this policy document will be dated and stands as the official position of the ICN. All affiliated ICN associations, federations and national bodies must agree to the INADP not withstanding that their own sovereign governments anti-doping policies will supersede the INADP. The ICN has the sole right to impose sanctions on any member who is found to be in contravention of the INADP. It is a necessary requirement by all ICN members to read, understand and agree to the ‘Participation Agreement & Drug-Free Acknowledgement’ prior to registering for any event on the ICN Members Portal, which is the exclusive method of entering ICN events. 1. I consent to the use of any photographs, video recording or other images taken or recorded at this event by iCompete Natural or its nominees, in any magazine, broadcast transmission or any other printed or electronic media for the purposes of promoting this or future events, iCompete Natural or nominees or their sponsors. 2. I fully understand a condition of entering this contest was I have not taken any banned substance for five (5) years prior to this competition. Further, I agree to provide a urine or blood sample for analysis for detection of substances prohibited on the World Anti-Doping Agency (WADA) list of Doping Classes and Methods and maintained by iCompete Natural (ICN). 3. I realize it is each Athlete's personal duty to ensure that no Prohibited Substance enters his or her body. Athletes are responsible for any Prohibited Substance or its Metabolites or Markers found to be present in their bodily Specimens. Accordingly, it is not necessary that intent, fault, negligence or knowing Use on the Athlete's part be demonstrated to establish an anti-doping violation has occurred. 4. If I produce a positive test result to a prohibited substance, within 7 days I can elect to pay for B sample to verify the result. If I elect not to challenge the result of the A sample, or not reply within 7 days, I am acknowledging the result of a positive test and iCompete Natural will impose a sanction according to WADA guidelines. 5. I will reimburse all the costs of my testing and all resulting consequences, including forfeiture of any placing, titles, financial benefits and return trophies and prizes within 7 days of such notification to do so. 6. Decisions of iCompete Natural shall be final and enforceable, and that I will not bring any claim, arbitration, lawsuit or litigation in any other court or tribunal. This INADP does not include ICN rules and regulations pertaining to eligibility, judging etc., which are listed on the Australian National Website, this policy is exclusive to anti-doping, as such every effort has been taken in compiling the policy, it’s enforcement and the education of our members. We follow the WADA penalties. A one substance positive is 2 years. A multi substance positive is 4 years. The second positive test has these sanctions doubled and the third time is a life ban. Under this Anti-Doping Policy, ICN are strictly following the WADA sanctions and consequences for those who disregard our drug-free rules and disrespect our natural competitors and organization. Cheating in ICN events is a serious offence and harsh penalties are necessary to work as a deterrent. Over and above the disqualification and ban applied under this anti-doping policy ICN may publish the athlete's name, photograph and drug-test results on ICN websites, groups and portals. This anti-doping policy seeks to preserve what is intrinsically valuable about sport. Anti-Doping guidelines, like Competition rules, are sport rules governing the conditions under which sport is played. Athletes accept these rules as a condition of participation. The purpose of this policy to clearly outline the conditions and responsibilities of an ICN Member in relation to this INADP. We define what is considered a drug violation, how the drug policy and testing process functions and what to do if your health requires your doctor to prescribe a banned drug (for a legitimate medical reason). The corner stone behind the success of the ICN has been the resilience of our competitor's ethics. Our competitors chose the ICN because they value the concept of 'fair play', refuse to take drugs, have an awareness of the harmful effects of drug use and support the ICN INADP. Since our first contest in 1991, ICN has contracted the accredited WADA (and formerly IOC) drug testing body, in Australia until 2017 when ICN became an International Sports Association and now contracts with various WADA agencies and accredited laboratories worldwide. Our first 25-year history with ASADA, an independent government agency, demonstrates our serious intent and endeavour to keep Natural Bodybuilding and Sports Modelling and Transformations drug free and use the highest world standard available in drug detection. 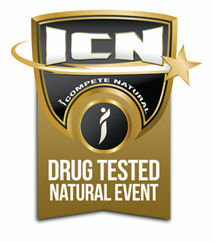 ICN enforces drug testing on the day of the contest as well as between contests. Drug testing at the event and whom is tested, is usually under the control of the contracted agency or members of the ICN executive as nominated by the ICN Technical Committee. Obviously, competitors who display characteristics associated with drug use will be targeted as well as top place getters. 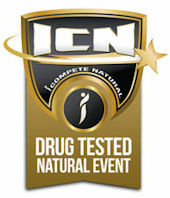 Between contests, ICN athletes are subject to our 'no notice' Random Drug Testing Program (RDTP). 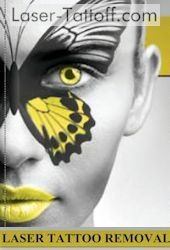 Testing is again conducted by contracted agency trained staff or ICN approved nominees. Each member supplies ICN with athlete information outlining their usual place and time of training as well as home and work details. An ICN contracted agency staff member or nominated ICN Executive member can arrive 'without notice' at a member's training location, home or work and notify them a urine sample must be collected. In 1999, the World Anti-Doping Agency (WADA) was formed to take over the position and role the IOC played as the drug authority in sport. Since this time WADA has comprehensively rewritten the Doping substances, standards and protocols for sporting bodies, which are now referred to as the Code. On January 1st 2004 the World Anti-Doping Agency (WADA) authority came into force. As such, each Country and Sporting group must be a signatory of WADA to be able to compete in the Olympic Games. The aim of WADA is to implement a Doping Policy that is standardised across all sports and all Countries. Furthermore, all signatories uphold sanctions imposed by any WADA signatory; therefore, a banned athlete, for the duration of the ban, cannot compete in another sport. ICN has adapted the new WADA initiatives and our sanctions will be recognised by other WADA signatory sports. As such ICN Natural athletes are subject to the same doping rules, procedures and sanctions as athletes that participate in an Olympic sport. A list of the banned substances can be viewed by visiting the WADA website. Drugs are listed by chemical name, not commercial name. As an example, the anabolic steroid dianabol appears under its chemical name methandrostenolone. As a guideline: never take a substance of a chemical nature or containing an unknown ingredient without considering and checking if it may be a prohibited substance. 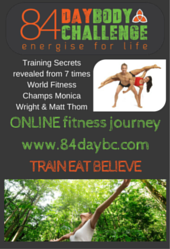 If in doubt you are earnestly encouraged to research thoroughly what you put into your body. There are many Drugs in Sport Handbooks, White Papers and respected clinical science documents available on the internet. It is not the responsibility of the ICN to undertake this education for you, ignorance is not an excuse. ICN takes a hard line with those who use drugs because competitors have a choice to compete with other bodybuilding organisations that do not drug test. Doping is defined as the occurrence of one or more of these anti-doping rule violations. The full ICN Doping Policy can be viewed by visiting the national website, the INADP is current as it appears on the ICN Australian National website. These Anti-Doping Rules are in furtherance of ICN's continuing efforts to eradicate doping in the sport of Natural Bodybuilding, Sports Modelling and Transformations. Note: Athlete admissions are treated in accordance as evidence of a Doping rule violation. 1. The presence of a Prohibited Substance in an Athlete's bodily Specimen. It is each Athletes personal duty to ensure that no Prohibited Substance enters his or her body. Accordingly, it is not necessary that intent, fault, negligence or knowing Use on the Athletes part be demonstrated in order to establish an anti-doping violation. 2. Use or Attempted Use of a Prohibited Substance or a Prohibited Method. Defined as the application, ingestion, injection or consumption by any means whatsoever of any Prohibited Substance or Prohibited Method. The success or failure of the Use of a Prohibited Substance or Prohibited Method is not material. It is sufficient that the Prohibited Substance or Prohibited Method was Used or Attempted to be Used for an anti-doping rule violation to be committed. 3. Refusing, or failing without compelling justification, to submit to Sample collection or otherwise evading Sample collection. 4. Violation of the requirements regarding Athlete availability for Between-Competition Testing including failure to provide required whereabouts information. 5. Tampering, or Attempting to tamper, with any part of Doping Control. 6. Possession of Prohibited Substances and Methods. Possession by an Athlete at any time or place of a substance that is prohibited or a Prohibited Method unless the Athlete establishes that the Possession is pursuant to a therapeutic use exemption or other acceptable justification. 7. Trafficking in any Prohibited Substance or Prohibited Method. Administration or Attempted administration of a Prohibited Substance or Prohibited Method to any Athlete, or assisting, encouraging, aiding, abetting, covering up or any other type of complicity involving an anti-doping rule violation or any Attempted violation. 8. Administration or Attempted administration of a Prohibited Substance or Prohibited Method to any Athlete, or assisting, encouraging, aiding, abetting, covering up or any other type of complicity involving an Anti-Doping Rule Violation or any Attempted violation. 9. Complicity. Assisting, encouraging, aiding, abetting, conspiring, covering up or any other type of intentional complicity involving an Anti-Doping Rule Violation or attempted Anti-Doping Rule Violation by another person. 10. Prohibited Association. Association in a professional or sport-related capacity with a person serving a period of ineligibility for an Anti-Doping Rule Violation, or a person not subject to a sport policy who has been convicted or in a criminal, disciplinary or professional proceeding to have engaged in conduct which would have been an Anti-Doping Rule Violation. Neither ICN or any contracted WADA approved drug testing collection agency member can determine the status of supplement products in sport. Due to their multi-ingredient nature, supplements are considered to present more risk to athletes than registered pharmaceutical products. There is a risk that supplements may contain impurities, such as ingredients that are not listed on the label, which could cause a positive test. A 2001 International Olympic Committee study reported nearly 15 percent of supplement products tested, contained substances not labelled that could result in a positive drug test. It seems weekly, the latest development or unpronounceable ingredient name in supplementation is on the shelf for us to buy, but are they safe to use for drug-tested athletes? Who should be responsible for substantiating their claims and drug-free status? Surely the manufacturer should be prepared to guarantee that their products do what they claim, include only those ingredients that appear on the label, and will not result in a positive drug test for an athlete. Some manufacturers are prepared to do this but others are not. As with all drug-free and drug tested athletes, the onus falls on your vigilance. 1) Contact the company who makes or distributes the product. The manufacturer/distributor should know what they have made and whether it will pass a drug test. If they do not know or they do not guarantee - better in writing - their product will pass a drug test, do not use the product. End of story - they have not done research into what they have in the bottle. 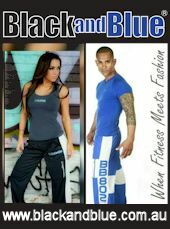 2) If you do not get a satisfying answer and you are still interested in using the product try researching the substance via the many hotlines established for all sports, don’t just look to website revolving around bodybuilding but look further afield, there are many fine information websites available created by other sports such as athletics, swimming and so on. You must know the ICN was not established to research or test supplement company’s new products. Official sports agencies can really only offer answers in relation to prescribed drugs because pharmaceutical companies are legally bound to precisely manufacture what is described in the ingredients, whereas supplement companies are not. 3) If you do not get a satisfying answer after all your research, then don't risk your proud reputation on an unknown ingredient or supplement without a drug-free guarantee.